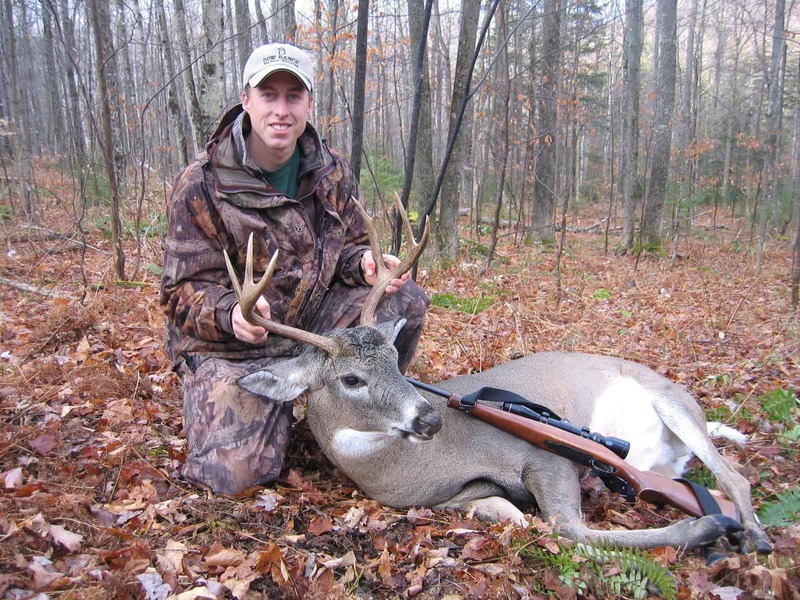 Why I’m Not Hunting Vermont This Year - the4pointer.com | Real Hunts. Unreal Stories. Don’t you hate it when bloggers give titles to articles that say the opposite of the main point? Me too. I mean, seriously, did you actually think I wasn’t going to hunt Vermont this year? I begin thinking about hunting the following year as the light fades on the last day of each season. Unfortunately for me, I’m usually sitting in the woods on the last day of the season and not at home eating a fresh venison steak while watching football. That is a downside to Vermont, I’ll give you that, and one of the reasons many have given up hunting in Vermont. There isn’t a high success rate. That’s OK with me (not OK with my wife) because that means more time in the woods, which is really the fun part anyway. A number of years ago I filled my tag at 7:30 am opening morning. It was very exciting but as soon as the hoopla subsided reality set in and I realized I could no longer hunt. Bummer. It’s an odd feeling placing your tag on deer. Feelings of excitement are intertwined with disappointment and reflection. You’d be hard pressed to find an area of the country where it’s more rewarding to fill your buck tag and the excitement that comes with it is hard to beat. The disappointment is from knowing that the chase is over for another year. Reflecting on a new lifelong memory is just part of the process. On the last day of the season two years ago I had all but given up hope that I’d fill my tag. I was working my way down a hardwood ridge that transitioned to a stand of mature hemlocks. It was my last hunt and I hadn’t seen a single track in the snow for over 500 yards. I was just about done with the hunt when I jumped a deer that was bedded down the hill to my right. 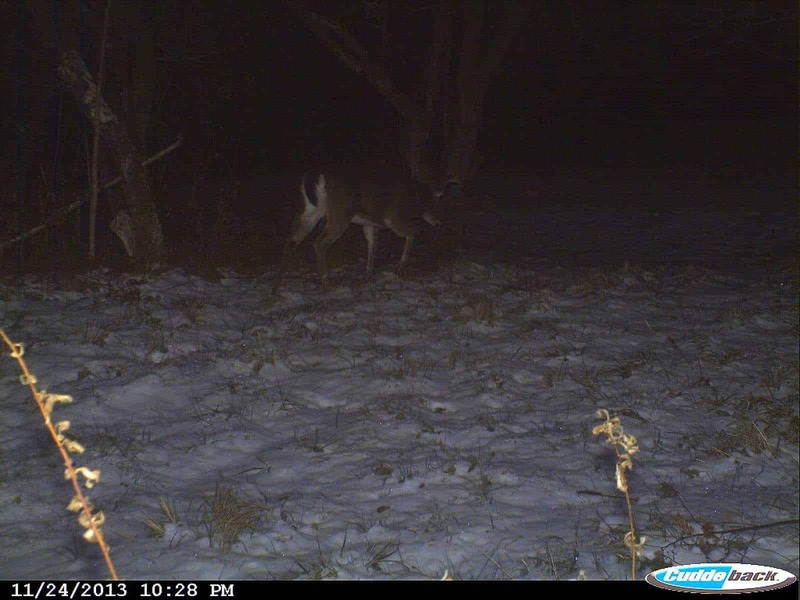 I’d gotten within 40 yards of him before he spooked and as he trotted away I saw an antler beam through my scope. BUCK! It was too brushy for a shot, especially on a moving deer, but just before he ran out of sight I saw him angle to the right. Knowing the lay of the land, I thought he might angle right back up the ridge from wear I’d come from. I took off on a sprint back up the hill to an old logging road that I’d crossed over about 50 yards back up the hill. The road cut across the hill sideways and once I reached it I ran for a little bit until the road crested a small rise. I eased over the rise and studied the slash below. Sure enough, I spotted the buck working up the hill. I dropped to one knee and he came to a stop in the middle of the road. I don’t know if it was last day jitters, the fact that I was out of breath, or adrenaline coursing through my veins but I missed him clean. He was only 50 yards away and perfectly broadside. That was my first real miss at a deer that could only be blamed on me. I just didn’t settle the cross-hairs on the deer, and as a result, he lived to see another day and gave me something to reflect on during the offseason. I remember that miss better than many of my successful hunts. I remember the buck bounding up the hill and out of sight, symbolizing the end of the chase for another year. I hadn’t seen many deer that season, three to be exact, but it had been a good chase. The opportunities are few but the reward is great – even when you miss. That is why I hunt the Green Mountains of Vermont. The deer are smart and have miles to roam. Rarely do they bed or feed in the same location and catching up with one is either a result of luck or a lot of hard work. The lucky ones are fun, the ones that come as a result of a lot of hard work are extremely rewarding. The sting of a miss makes me try harder. The trail camera picture of a big boy reminds me he is out there. The sound of the alarm clock is met with less excitement as the season wears on, especially after weeks of few deer sightings, but the call of the woods is too strong to ignore. I’m starting to hear that call louder and louder as summer wears on…I can hardly wait.